Almost 24 kilograms of illegally purchased seafood have been seized by NSW Department of Primary Industries (DPI) Fisheries Officers from a shop in Batemans Bay on the NSW south coast following a tip off. 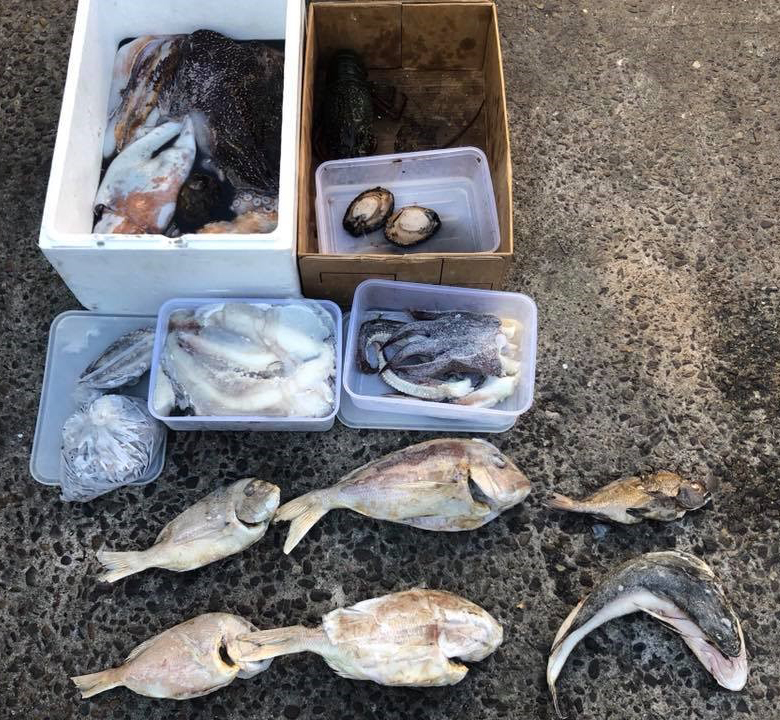 NSW DPI Director of Fisheries Compliance, Patrick Tully, said the officers seized cuttlefish, octopus, eastern rock lobsters and abalone, which had allegedly had been illegally traded by unlicensed fishers. “Our investigation indicates that the owner of the premises had bought fish, or exchanged fish for meals, from fishers not authorised to sell their catch,” Mr Tully said. “Only licensed commercial fishers are allowed to sell their catch and it is illegal to purchase seafood from recreational fishers. “Black marketing of fish is a serious problem that can impact on legitimate suppliers and adversely affect the sustainability of fish stocks across NSW. “Commercial fishing, on the other hand, is controlled through a strict access and fisheries management system, which is designed to ensure the sustainability of our fish species and marine life. “In addition, commercial fishers provide the community with fresh, safe-to-eat seafood by adhering to rigorous quality control processes. "This is obviously not the case on the black market. Anyone with information on suspected illegal fishing activity is urged to contact their local DPI fisheries office, call the Fisher Watch phone line on 1800 043 536 or report illegal fishing activities online. For more information visit the DPI website.